About Vancity Weddings | Vancouver Wedding Vendor Directory for Wedding Dresses, Florists, Make-up, Cakes, Photography and more! Vancity Weddings is an online wedding directory of some of the finest wedding vendors available in British Columbia. The wedding directory consists of vendors located in Vancouver, Burnaby, Richmond, Delta, Coquitlam, New Westminster, Port Moody, and Surrey. Our goal is to assist brides and grooms throughout their wedding planning and informing them of upcoming events and exciting news. We got engaged in June 2007 and married in July 2008. Our wedding went amazingly well thanks to the love and support from our family and friends. Although our lives were surrounded around wedding planning for the last year, it was well worth it. The wedding was definitely the most wonderful and memorable time in our lives. Before the wedding day, we spent countless hours researching, planning, and organizing the event. 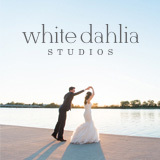 We researched online and attended countless wedding shows. Surprisingly, there are so many vendors in the wedding business, that it is difficult to decide which vendors to book. To help cut down on your work, we have compiled a list of vendors in British Columbia.